Download the Turnkey Retreat Guide in Adobe PDF format. Contact Retreat Director Jim Hiltenbrand via email at jim.k2c@yahoo.com or at 303-986-2301. What does a Retreat do for your Council? Well, until you have one, you will not know. When Saint Jude Council #16052 became a Council in October of 2014, we were a mix of men from 3 Councils as well as new members. We held our Retreat in January 2015. What an amazing gift this turned out to be for us. Not only was it the first ever Knights to Christ Retreat, but it was the foundation that ignited Brotherhood that still continues to grow from this day. We are almost approaching 4 years as a Council and we have grown from 60 members to over 100 currently. We were in the top 25 of Councils in the State, finished 2nd in the Red division for service awards, received Double Star Council as well as the prestigious Contest of Champions award for 240% of membership growth. Our second year, we received Star Council, finished first in the Purple division and was awarded the States Church Service award. Why did all this success cone our way as a brand new Council? Well the answer is simple. We all gathered together outside of a meeting and did a Retreat. Men who have known each other for 10 plus years, got to learn more about the men we thought we knew so well. Which in turn created stronger friendships and a Brotherhood that most Councils seem the be lacking in. Our Council continues to hold Retreats and we are continually seeing the benefits from them. We have done 3 so far and will always have one for every year in the future. 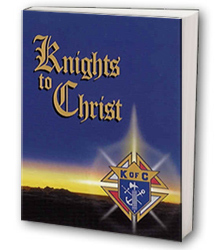 Contact the Knights to Christ Spiritual Enrichment Team to get your packet and do a Retreat. Our Council chooses to have our Retreat at Mother Cabrini Shrine, (I highly recommend the setting), it is an all day event with Mass at the Chapel afterwards. The facility provides a breakfast and lunch as well as an environment to grow your Faith, Brotherhood and Love for the Knights of Columbus and our Catholic Church.